Let me share with you what happened on our Monday–we experienced the amazing grace of God. We arrived at the school–for those of you who went last year–you would have especially loved this–there was some “new” tucked in among the “old” of the village. Of course the road was just as long (maybe longer) and you could park a car in the pot holes. As we drove past familiar sights and people on the side of the road, big grins broke out across their faces–and tears began to form in some of the eyes on the bus. 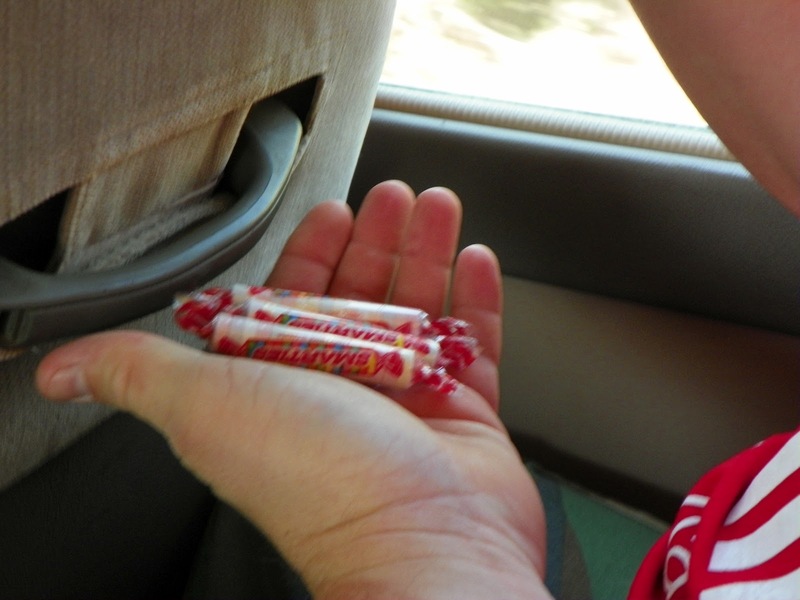 My son-in-law, David had something tucked in his hand and I knew what it was–but I tried to get a picture without him knowing–instead I had him open his hand. He was ready. He knew who would surround us when we got off the bus. The faces that met us at the bus brought hot tears–and the sight of the church–brought a feeling of urgency to what we needed to do. It seemed the village had grown. We had sang most of the way on the bus–the bus driver had never been to the village–and David had to do a bit of back seat driving…if he hadn’t –we might still be driving. After they sang to us and welcomed us–many hugs, handshakes and kisses later, we began to unpack the puppet staging and curtains, the games and ministry tools. 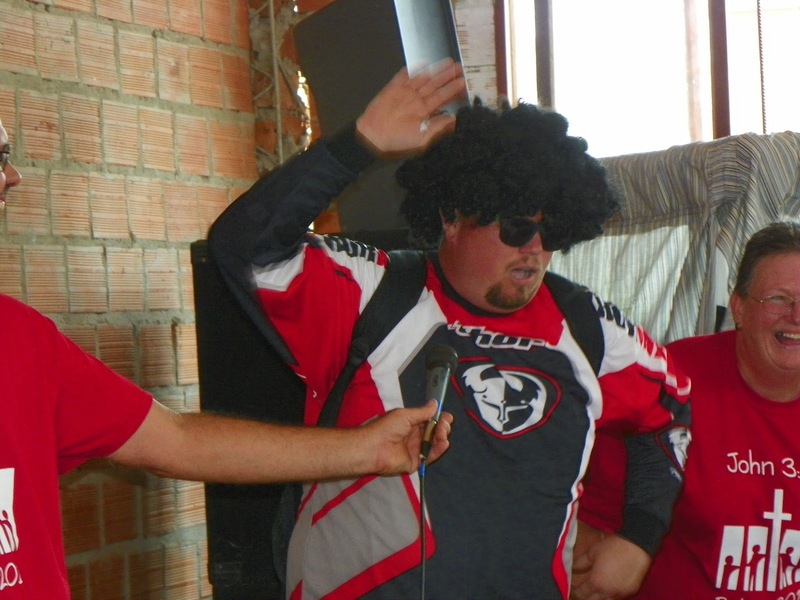 Our Children’s Pastors, Bro. Chris and Sis. Tammy did an outstanding job of compiling the entire week of “kids ministry” for these kids and teens that had never before experienced it. I asked our translator, Joel, if they ever had “Vacation Bible School” or something to that equivalent–and he shook his head “no”. They have very little. This week is about “equipping for ministry”, as we will leave the puppet stage and curtains, the puppets, games and necessary supplies to have children’s church each week! A special thank you goes out to all our church family and friends who helped us gather all the necessary items before this trip. 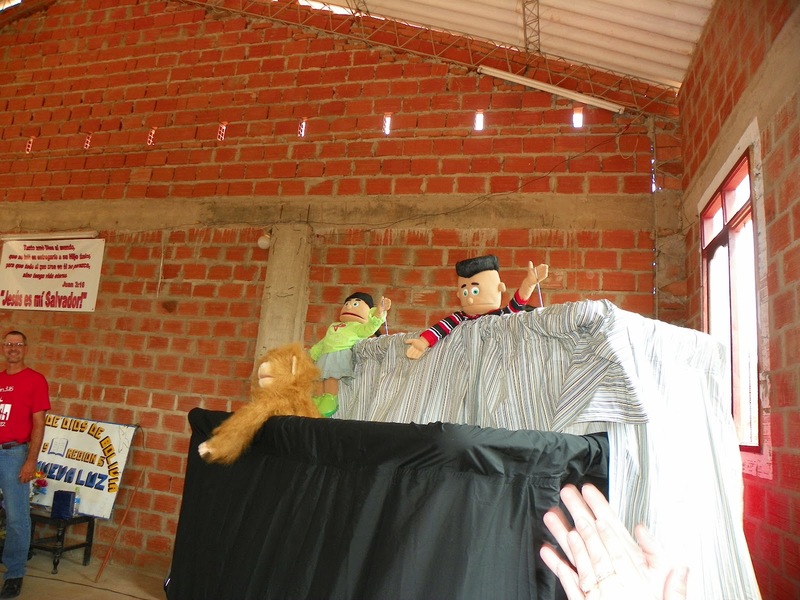 While Jeff was putting together the puppet stage, the rest of us walked down to the school, where Jeff and Joel had checked before hand with the principal asking if we could bring New Testaments to distribute…A hearty “yes” was the answer! Each class was filled with people who “wanted” the Word–they were excited–and it was an amazing feeling to watch the faces as they looked at, smelled of, and embraced the Word of God. It was thrilling to say the least to watch–feel the feelings in the room–the excitement in the air…I cannot really describe it! Sis. 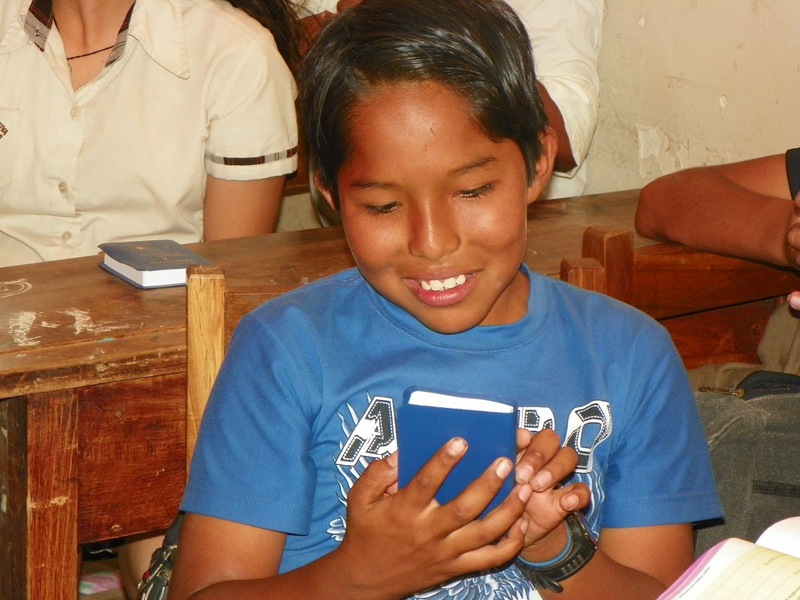 Pam was holding some full Bibles that we were giving the teachers–and the bus driver was noticing–he asked her, with hands folded in front of him, as if in prayer, if he might have one. 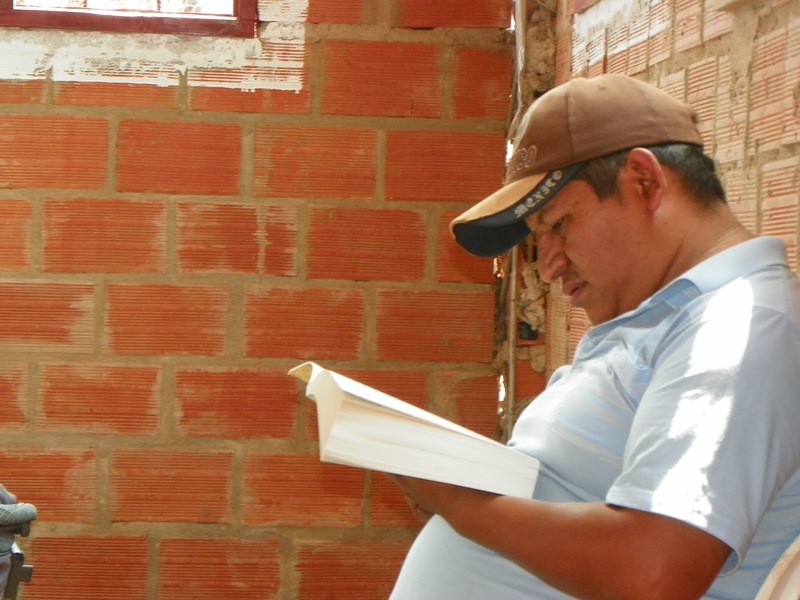 Throughout the day, as he stayed with us all day- I observed him reading–and with great reverence smoothing the pages–feeling the LIFE under the palm of his hand….Life. Jesus…He’s the Word. AND might I say–“Larry” was a hit–even though they might not get some of his humor–they got the fact he’s a nut! This entry was posted on Tuesday, September 4th, 2012 at 6:21 pm	and posted in Mission Trip. You can follow any responses to this entry through the RSS 2.0 feed. Ah, bringing LIFE. What an honor! 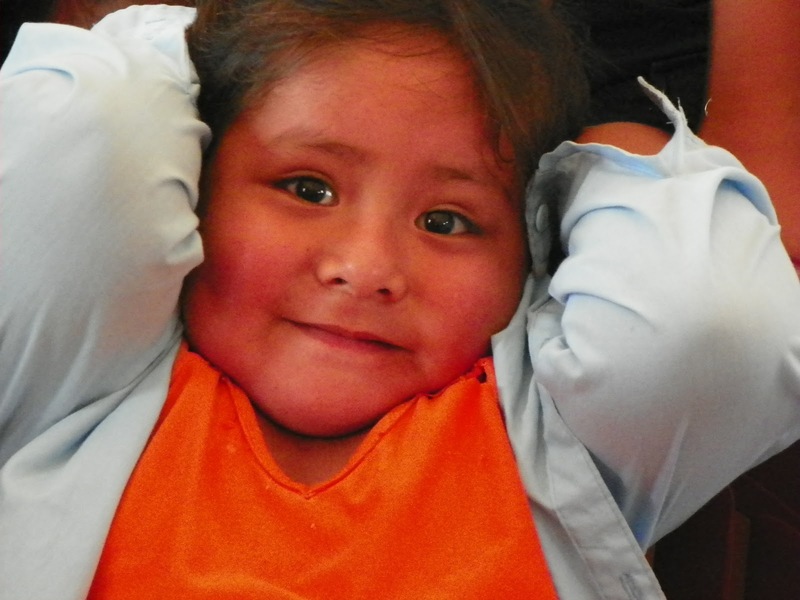 The word of God is so marvelous, I am so thankful you can bring it to them! Your heart swells, I can tell, and I with you!